This comfortable 6-night safari visits two camps renowned for incredible predator sightings. Guests will search for predators in the Khwai area of the Okavango Delta and Moremi, as well as spotting big game in the Savute Marsh area. The focus will be on game drives and night drives with optional bush walks. Guests will be accompanied by expert guides who will create a better understanding of the African bush and adding infinite value to the experience. On arrival at Maun airport, guests will be met by a representative and assisted to their light air transfer to Sango Safari Camp where they will be staying for 3 nights on a fully inclusive basis plus game viewing activities. 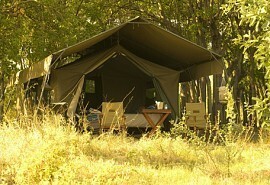 Activities include guided walks, game drives and night drives. Sango Safari Camp is nestled under the cover of trees overlooking the Khwai River, and gets its name from the original inhabitants of the Khwai area. Accommodating 12 guests in six ensuite Meru-style tents, the camp is designed in the taste of the traditional tented safari camp of a bygone era. After breakfast and morning activities, guests are transferred by light aircraft to Savute Safari Lodge for 3 nights on a fully inclusive basis plus game viewing activities, which include game drives. 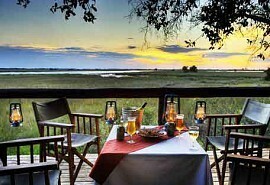 Savute Safari Lodge is situated on the Savute channel in the heart of the Chobe National Park. 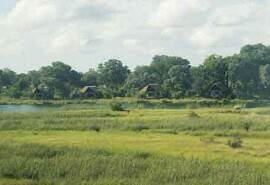 The area is famous for its large concentrations of elephant and lion prides. The lodge consists of 12 luxury wood, thatch and glass suites sleeping a total of 24 guests. Each suite offers ensuite facilities with a private viewing deck.